“The more you do, the more you received” This quote might not be applicable with those who have income because the more revenue you get, the more tax you will have to pay. Though you don’t have to pay any tax if your annual income is below THB 240,000 (THB 20,000/month); but if your annual income goes beyond that point, this would surely be a big burden for you. So, would it be better if you plan your tax wisely that you don’t need to pay for the full amount of tax anymore? 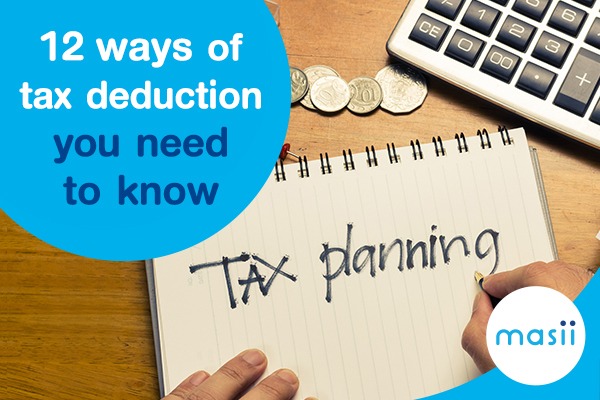 Masri would like to share some ideas of tax deduction methods you need to know. The interest payment on Home Loan is tax deductible at the actual amount (Maximum THB 100,000). In case it’s a shared loan, the interest payment can be divided equally for the tax deduction with the maximum of THB 100,000 each. The amount of donation can be use as a tax deductibles at the maximum of 10% of total income after all expenses is subtracted. The amount of donation for education is deductible at 2X but not exceed 10% of total income after all expenses is subtracted. The maximum of THB 30,000 is deductible for the taxpayer whose spouse has no income. Please keep in mind that legal marriage document is needed. The expense incurred from taking care of your own children and children in law is deductible at THB 15,000 per child (Maximum of 3 children). The children’s age must not exceed 20 years old by the time of tax filing and the children must not have any income. The expense incurred from taking care of your parents is deductible at THB 30,000 each. 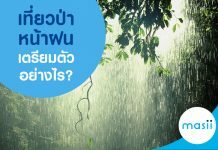 This case is applicable with the taxpayer whose parent age is above 60 years old and possess the annual income lower than THB 30,000. In case that the taxpayer’s parent have an annual income below THB 30,000, the taxpayer can buy them a health insurance and the health insurance premium can be used as a deductions at the maximum of THB 15,000. 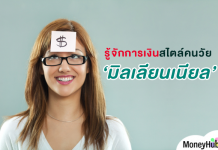 Health Insurance Premium is tax deductible at the maximum of THB 15,000. So, if you haven’t had one, you may need to consider buying it this year.